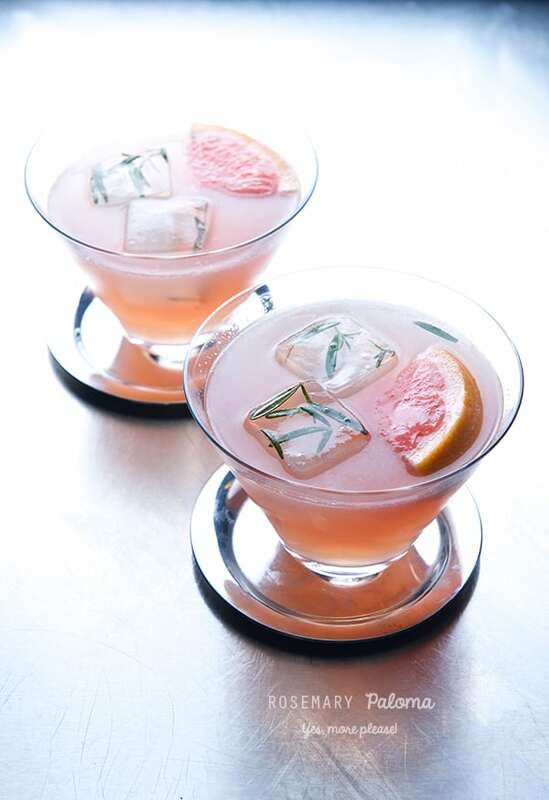 Rosemary Paloma ~Yes, more please! Place all ingredients in a small stainless steel pot, bring to a boil, boil for 5 minutes. Turn off and let cool off completely. remove the rosemary sprigs and transfer to a small glass jar. 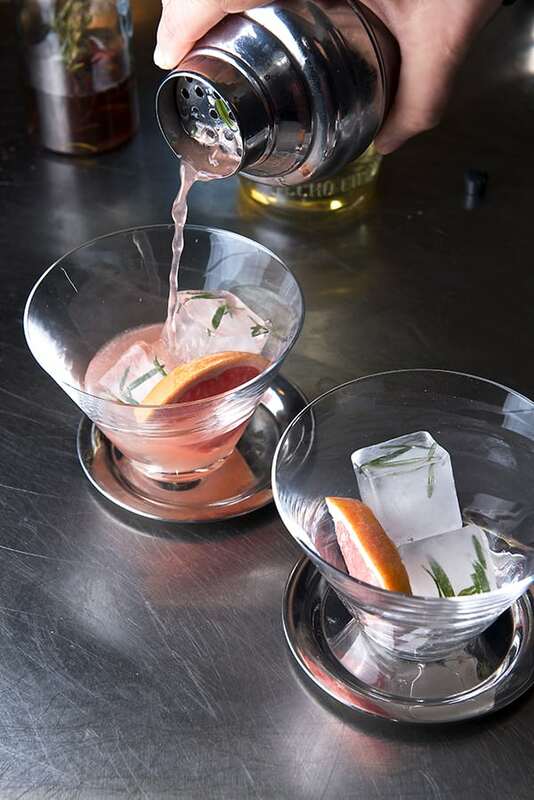 ice cubes with frozen rosemary: Remove the rosemary needles and add a few needles into each ice-cube tray a long with a dash of sea salt, pour cold over and freeze for at least 2 hours. 1. 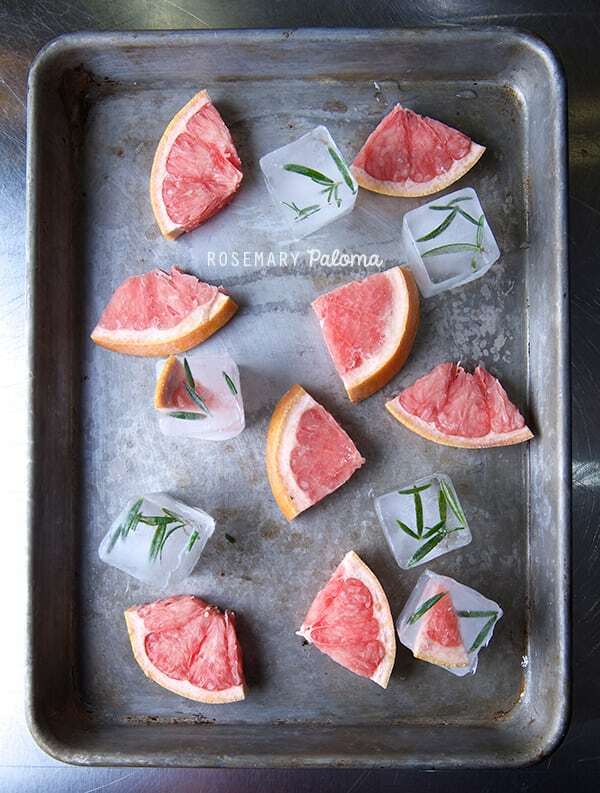 Prepare frozen grapefruit wedges and rosemary ice cubes at least 3-4 hours ahead,a day before works best, 1 1/2 hours the least! 2. With a piece of lime wet the rims of your glasses and dip them in sea salt. Set aside. 3. 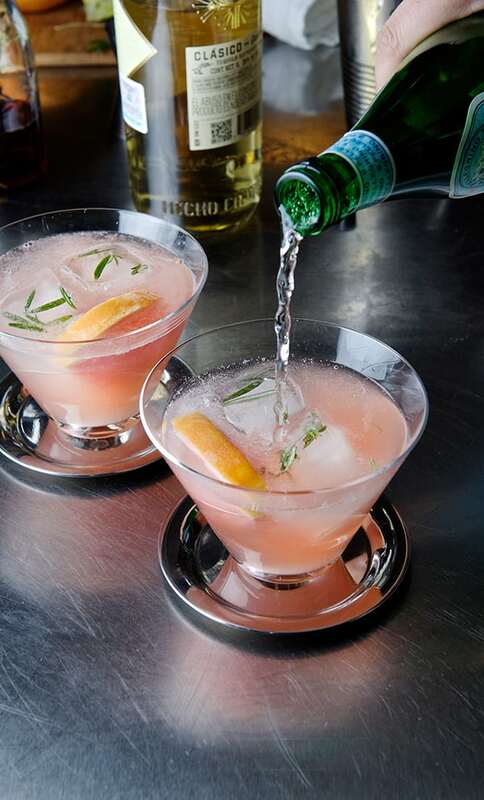 In a Shaker place some ice, the grapefruit juice, lime juice, rosemary syrup, and Tequila. Give it a good shake-arooh hard for 30 seconds. 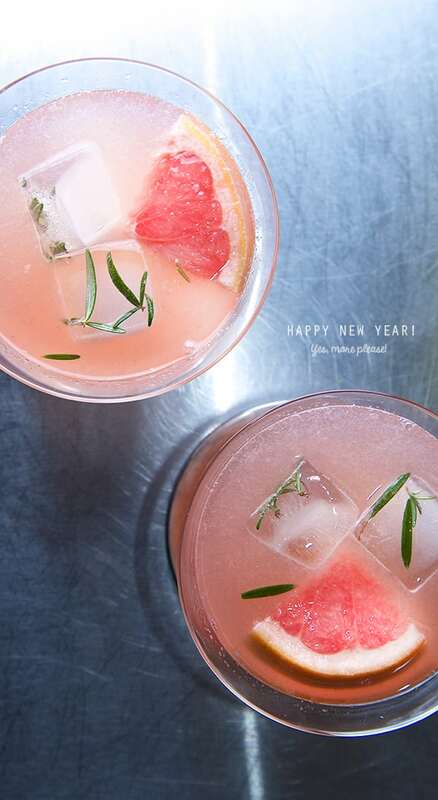 Place some ice cubes on the glasses, and a frozen grapefruit wedge. Pour 3/4 of the glass and add a good 2 oz of Sparkling soda.